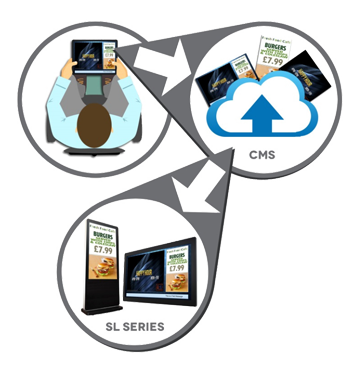 Our SL range has been a ‘game changer’ in simplifying the complexities of digital signage, providing customers with an eye catching, powerful and simple to use solution where costs are clear and budgets easily managed through our All-Inclusive approach. 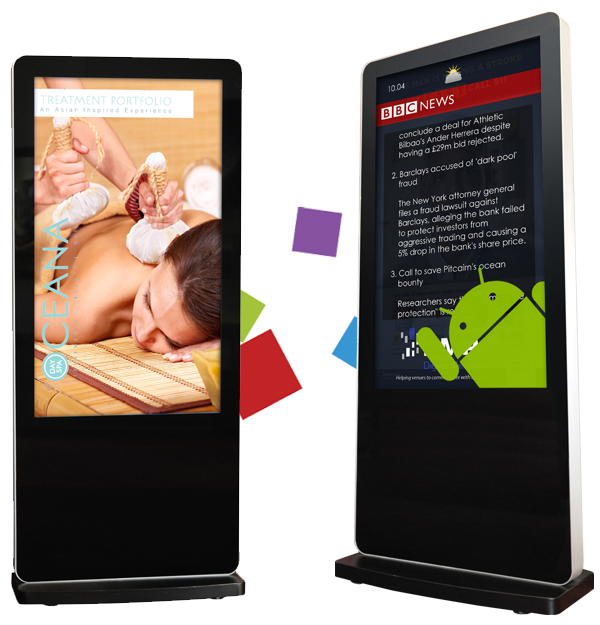 With the launch of our Android SL range we are taking this a stage further… All the same design qualities of our SL range but with increased power and functionality these displays are changing the digital signage landscape. Plus as they are fully compatible with our core SL range you can easily manage your entire network from one central CMS platform, which of course is fully inclusive with the purchase of your display! 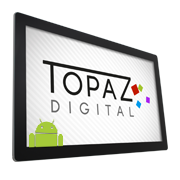 With a wide range of sizes available from 32” thru 55” Freestanding you are able to deploy one consistent solution throughout your estate with the flexibility of deploying different screen sizes in different locations all centrally powered and controlled by one user friendly & intuitive platform, the TOPAZ CMS. 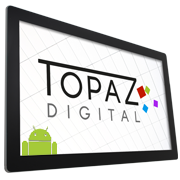 Fully combinable with our core SL range enabling you to add smaller format displays to your network all controlled through the TOPAZ CMS platform. 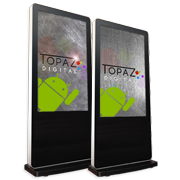 Our Freestanding Android SL Displays are proven to be real attention grabbers and stand out in a busy commercial environment, with the increased Android functionality you can WOW your audience in even more ways than before. 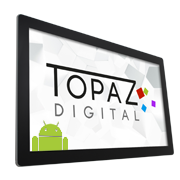 One of our most popular sizes incorporating all the power and functionality in a small but impactful size – the perfect mix with our larger format screens. 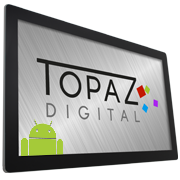 One of our most popular models offering the perfect screen size for many applications full of power, functionality with everything built in! 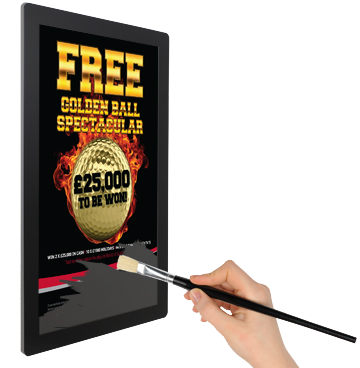 A really popular large format size these displays will capture your audience and put your message front and center. 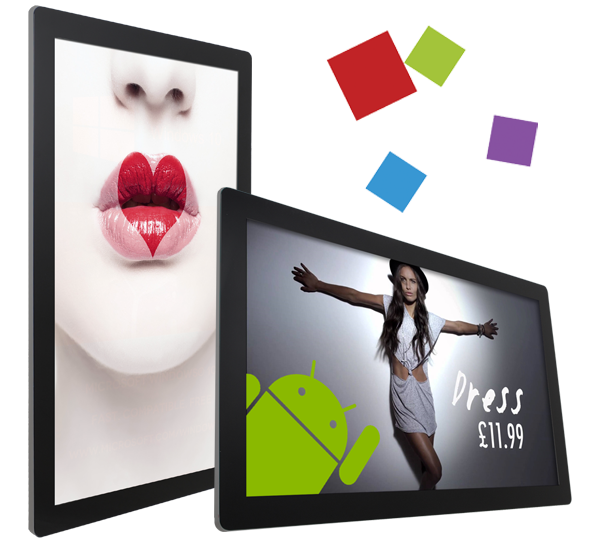 Create a statement when size matters our largest screen offering maximum impact in a sleek and elegant design. What makes the TOPAZ SL Series different?